I am currently recording a new album with the band. Release in september. More news in a few months. Stef Kamil Carlens is a singer-song writer, guitarist, composer, record producer and has been a soulful and energetic performer on the European music and theatre stages for over two decades now. 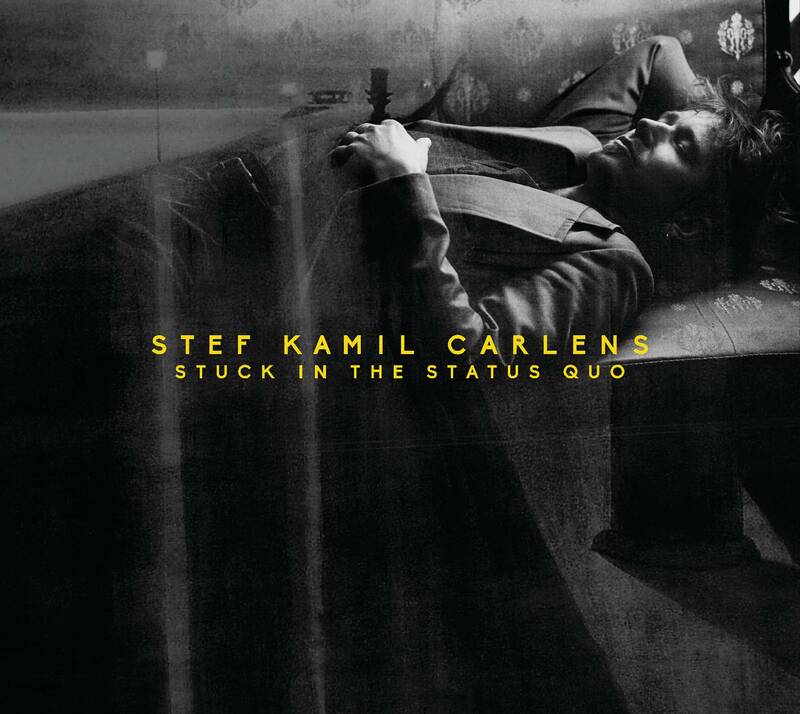 In 2017 Stef Kamil Carlens presents “Stuck In The Status Quo”, the first album under his own name, and got great reviews in Humo (4*), Focus Knack (4*), De Standaard (4*), Het Nieuwsblad (4*), Gazet Van Antwerpen (4*), L'Avenir (4*), Le Soir (3*), La Dernière Heure (3*). On stage, with the help of his skilful and inventive band (Wim De Busser-drums, Nicolas Rombouts-upright bas, Nel Ponsaers-keys and Alma Auer-harp) he takes the audience through a range of moods reaching from the melancholic to the super-funky. Stef Kamil Carlens is constantly researching sound possibilities which results in many surprising versions of the songs from his extensive repertoire. Stef Kamil is also a visual artist.